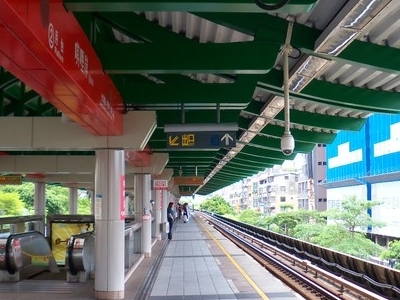 The Taipei Metro Qili'an Station is located in the Beitou District of Taipei, Taiwan. It is a station on the Tamsui Line (Red Line). In the past, the station belonged to the now-defunct TRA Tamsui Line. 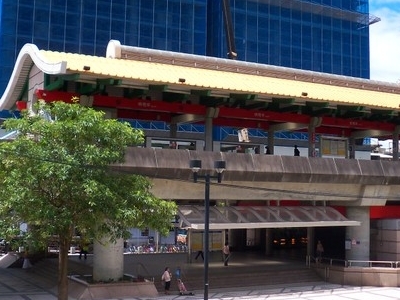 The station is an elevated structure with one island platform and one exit. The station is situated between Donghua Street and Xian Street, near the entrance of Gongguan. The washrooms are inside the entrance area. Here's the our members favorite photos of "Railway Stations near Beitou". Upload your photo of Qilian Station!